ASHRAE Acronym for American Society of Heating, Refrigeration, and Air Conditioning Engineers. Astragal Weather-stripping added to bottom section of the door to seal the opening along the floor. Bracket Mounted Track A method of fastening vertical track to a doorjamb using angle brackets. Also referred to as Mounted or Track Bracket. Cable Drums Grooved drums on the torsion spring shaft that lifting cables wind around when door is opened. Designed to allow cable to be accumulated or dispensed in an orderly manner and to prevent lapping or cable chafing. Cable Sleeve A manufactured device used to form a loop of cable, size of which is determined by the cable diameter. Cables Multistrand wire used to attach the door, via bottom brackets, to the counterbalance mechanism. Center Bearing Plate See Center Support Bearing. Center Hinge Flat hinge located on all intermediate stiles to allow for door section to turn the track radius as the door opens. Center Support Bearing Bearing and mounting plate installed at approximately half the door width above the door which acts as a support for the spring shaft. Can be mounted in various locations, not necessarily in center, depending on size of springs. 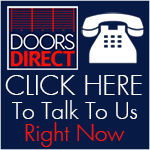 Clearances The amount of sideroom, headroom, and backroom required to properly install a sectional door. Coupling Adjustable cast iron connector in two halves for torsion solid shafts on wide doors. Eases installation and allows adjustment in cable lengths so doors will operate smoothly without cocking. Cycle One complete cycle of a door begins with the door in the closed position. The door is then moved to the open position and back to the closed position again. Note: Torsion spring operated doors with higher-than-normal cycle life requirements may be specified with 25,000, 50,000, or 100,000 cycle springs. Door Frame The frame into which the door fits, consisting of two upright members called doorjambs, and a door header. Door Size Always specify the width first and the height second: For instance 8' 6" (2591 mm) wide by 7' 3" (2210 mm) high. Refer to Opening Size. Double Thick Glass Lighter than plate glass, about 1/8" (3.18 mm) thick, often termed double strength glass. See Glass Type. Drums Circular stamped metal parts attached at various locations along the tubular shaft that allows the sheet door curtain to coil up when the door is opened. End Stiles Stile located at each end of a door section that provides for attachment of end hinges. Escutcheon A plate surrounding the lock mechanism, acting as a bearing surface for the lock shaft; one of the parts of a lock set, usually held in place by small screws known as escutcheon screws. Extension Springs Counterbalance springs which provide lifting force by stretching. Commonly called stretch springs. Extension springs are mounted to each of the rear track hangers. They are attached to a pulley at the other end of the spring. Exterior Lock Keyed lock which can be operated on exterior of the door. Extrusion Fabricated aluminum or plastic shapes made by forcing a hot aluminum or plastic billets through a die in an extrusion press. Flush Design Refers to door sections unbroken by roll-formed ribs. The face of the complete door presents an even surface. Glass, Insulated Two pieces of glass spaced approximately 1/4" (12.7 mm) apart and hermetically sealed to form a single-glazed unit with an air space between. Heat transmission through this type of glass may be as low as half that of non-insulated glass. Glass, Wire Polished or rough glass, 1/4" (6.35 mm) thick. Wire mesh is embedded within the glass so that the glass will not shatter when broken. Many types of wire patterns are available. (Commercial door application) Glazed, Glazing Section windows or lites in place of the steel or aluminum panel. See Glass Type. Hinges To make the independent sections act as a complete door, the sections must be hinged together. Hinges are found on the end stiles and center stiles at the meeting rails. All hinges perform two basic functions: 1. They join the sections together with bolts or screws. 2. They allow the sections to break, independent of each other, as the door travels. Hinges on the end stiles perform two additional tasks: 1. They are designed to support a roller on which the door travels. 2. They are offset to provide a flush fit to the door itself when in the closed position. Horizontal Track An assembly usually made up of a section of track and reinforced with an angle that is used to both guide and support the door in the horizontal position. Furnished with an integral section of curved track. See Radius. Inclined Track Tapered vertical track and a graduated height of edge hinges which assure a weathertight fit between door and jamb. Inside Lock Spring loaded, sliding deadbolt lock operable only from interior of the door. Insulation Material that has the ability to reduce heat or cold transmission. Insulation Terms: BTU Amount of heat necessary to raise the temperature of one pound of water one degree Fahrenheit. K-Value (Thermal Conductivity) Laboratory determined value of thermal conductance of a material. R-Value (Thermal Resistance) Ability of a material to retard the transmission of heat. The higher the R-value, the better the insulating performance. U-Value (Heat Transmission Coefficient) Amount of heat, in BTU, is transmitted through one square foot of material (the door) in one hour at a temperature difference of 1° F from one side to the other. The lower the U-value, the better the insulating material. Jamb Seal Weather-stripping attached to the door jamb to provide a seal along the jambs. Jambs The upright framing on each side of the door opening. When wood jambs are specified, the vertical track is mounted to the inside surface of the jamb and the stop molding is nailed to the side surface within the opening. For steel jambs, see Reverse Angle Mounting. For wood or masonry jambs, see Bracket Mounted Track and Angle Mounted Track. Lift-Handle A handle, normally on the bottom section of the door, to assist in manually lifting the sectional door. Lites Frames glazed with glass or clear plastic. Number of panels in a section limits quantity of lites that can be installed. May be double glazed for insulation value. See Full Vision Section. Low Headroom Track hardware accessories to provide for door installation with minimum headroom conditions. Meeting Rail The top or bottom horizontal rail in any section that meets and joins with an adjacent door section in horizontal rail. NEMA National Electrical Manufacturers Association established to provide standards for electrical components. Number designation refers to motor operator and controls to meet the ambient requirements. Opening Size Frequently called daylight opening or rough opening. Dimensions are taken between masonry or wood walls or between steel jambs. Opening Width Distance between jambs of the door opening. Padding Wood framing at jambs and header to which door track is mounted. Usually furnished by general contractor. See Jambs. Pane The area between vertical stiles in a door section. Perimeter Seal Complete weather-stripping package for sectional doors, consisting of astragral, jamb seal and header seal. Rabbeted Joint Joint formed by fitting together rails with grooves cut out of the opposing edges to permit overlapping weathertight meeting of sections. See Shiplap Joint and Tongue-and-Groove. Radius The curved portion of the track, which allows the door to move from vertical to horizontal (and vice versa). The curve is measured in inches, thus determining headroom requirements. See Headroom. Rain or Water Stop A step at the edge of the garage floor, approximately 1 (25.4 mm) higher than the outside finish. The door sits between the two. Rear Track Hangers Often constructed of punched angle iron, laterally braced, these hangers attach the end of the horizontal track to the garage ceiling. See Back Hangs. Roller Assembly The combination of a wheel and axle that is used to guide a door through the track system, either 2" (50.8 mm) or 3" (76.2 mm) diameter, depending on track size. Available as short or long stem. Rollers Steel, ball-bearing wheels that allow sections to roll freely along door tracks. Safety Spring Containment An extra cable used with extension springs to prevent pieces of the spring from causing damage or injury in the event the spring breaks. The cable is threaded through the center of the spring and is secured on both ends of the horizontal track. Sectional Joint Meeting Rail Seal A weather-strip integral with the section at the joints between door sections. Sectional Type Doors Doors made of two or more horizontal sections hinged together to provide a door large enough to close the entire opening. Sectional doors are guided into the horizontal or open position by a system of vertical or horizontal tracks. May be fabricated of continuous roll-formed steel with reinforcing ribs, flush sections of steel or aluminum. Shaft Bearings Type of bearing that adequately supports the radial forces dictated by the weight of the counterbalance assembly and door weight, and the lateral forces exerted. See Center Support Bearing. Shafts, Tubular and Solid A tubular or solid steel counterbalance shaft transmits lifting force of the torsion springs to the cable drums and lifting cables. Sheave A pulley with integral ball bearings designed to handle a cable and used to control the movements of the cables employed in the door counterbalance system. Various types are stud or clevis. Shiplap Joint The configuration of the meeting rails. When closed, the shiplap prevents rain, wind, and light from infiltrating the door between the door sections. See Tongue-and-Groove. Sideroom A horizontal measurement from each side of the door opening outward along the wall to the nearest obstruction within the building. Spring Anchor Plates Designed to transmit torque from the stationary end of a torsion spring to the building structure and, at the same time, support the weight of the torsion shaft in a level attitude. The anchor plate is able to withstand the lateral forces exerted by a torsion spring. Usually supplied by the general contractor. See Center Support Bearing. Spring Fittings The sleeves or cones, which are used to affix the torsion springs to the torsion shaft. One piece is a stationary sleeve or spring retainer, and the second piece is an adjusting cone or winding sleeve. Struts L-shaped metal reinforcement members attached horizontally to the inside of the door section to add strength and rigidity. Struts are necessary on wide heavy doors to help prevent sagging and bowing and to provide additional reinforcement to comply with the required windloading. Also called trusses. Swing-Up Post See Removable Post. Top Fixture Adjustable brackets that carry track rollers mounted on the top corners of the top section of the door. Top Rail The horizontal rail forming the top horizontal member of a door as distinguished from the meeting rails and bottom rail. Top Seal Weatherstripping which fastens to the top of the door to provide a seal along the top of the opening. Torsion Shaft The shaft of a torsion spring assembly, which transmits lifting force of the torsion springs to cable drums and lifting cables. Torsion Spring Counterbalance Assembly Designed and constructed to provide a safe and durable conversion of spring torque to lifting force by balancing the weight of a sectional overhead type door. Torsion Springs Mounts above the door opening. The springs are manually wound, or charged, then set to a shaft which runs through the spring. The spring turns the shaft, which raises or lowers the door via the cables winding on drums. Track Provides a guide for the roller wheels. The vertical track is mounted to the jambs with brackets on each side of the door opening. The horizontal track contains a curved end called the radius (See Radius). In the closed position, the door is resting in the vertical track. In the open position, the door is suspended from the horizontal track. Sectional door track usually consists of 4 pieces: 2 vertical pieces and 2 horizontal pieces. Trajectory The arc of travel, or sweep of the top section, as the door is raised from closed to open position, important in planning the location of pipes, light fixtures, etc. Winding Bars Used by installers to set initial tension on torsion springs at the winding cones. Winding Sleeves Designed to allow the application in a safe manner of torque from a torsion spring. The design properly retains a torsion spring when fully wound or unwound and withstands the radial and lateral forces exerted by the torsion spring. Windload The lateral force that the wind exerts upon a door as it stands in a closed position. Wood Jambs Upright piece forming the side of the door opening and is made of wood.